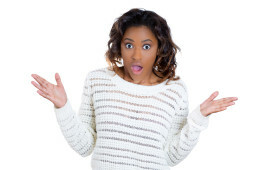 With the end of Black History Month I Ask: Black Community…What The Hell? When I was growing up I remember hearing stories of Rev. Martin Luther King Jr and his non violent fight for equality. I remember Rosa Parks noble defiance when she refused to move from her seat. I remember learning of Booker T Washington going from slave to advisor to two US Presidents. I remember hearing of great men and women fighting and struggling for equality. To be judged by the content of their character, not the color of their skin. I can’t help but feel that the three I named and countless others are rolling over in their graves to see all they have worked for being pissed away by a generation who may only know of Dr. King because they got a day off because of him. 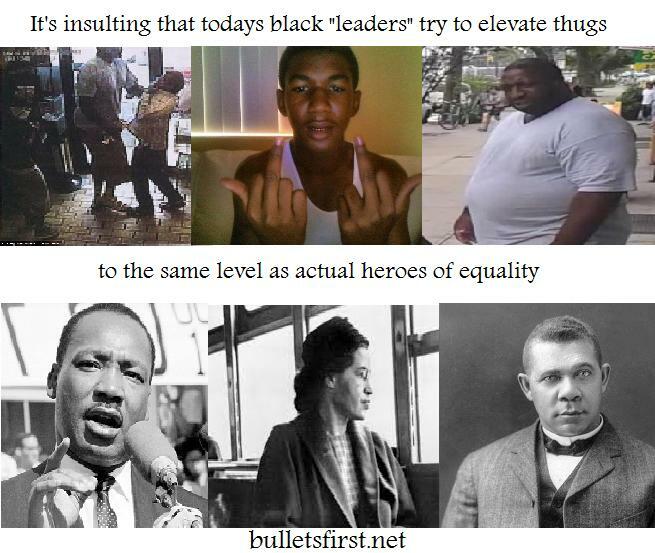 “Leaders” of the black community nowadays, your Al Sharptons and Jessie Jacksons, are more interested in lining their own pockets and race baiting than they are of advancing equality among Americans who are black. They deify thugs who attack innocent people and fight against cops, not out of a sense of social injustice but rather their own greed and selfish criminality. How is it that the equal rights movement made such great leaps forward from the time Booker T Washington was a slave to the end of the 1960’s and then seemingly fell off the tracks? It’s because the movement has been hijacked by self serving political parasites more interested in keeping an intact voting block suckling on the teet of government and projecting boogeymen to the masses in order to deceive them that they CAN’T improve their lot in life rather than following the words of Reverend King, the courage of Rosa Parks and the uncompromising will of Booker T Washington. Americans who are black have been lied to for the past 45 years. Part of it has been by those who filled the vacuum of leadership when greater men have fallen. But also the blame for the acceptance that they cannot get a fair shake in this country comes from the acceptance of that lie as a truth. Not only that, but to those free thinkers that make good for themselves they are too often victims of being torn down by others. Labeled sell outs and Uncle Toms if they do not wallow in the lie that they have the decked stacked against them. By making heroes of thugs and tearing down those who demand equality and not special treatment, a vicious cycle has begun that has taken root. It is only fostered more by the likes of Sharpton, Jackson, Holder and Obama. Do some Americans have easier opportunities than others? Yes. That’s life. That’s true regardless of your skin color. Some people just start with the line closer to the finish than others. But the great thing about America is that everyone is allowed to run the race. There is nothing STOPPING people. True, some may only have a short sprint and others have to run longer and jump hurdles but the race is free for anyone to join. Sitting on the sidelines, refusing to run and lamenting the phantom injustice of not being able to win is not injustice, it is self imposed enslavement. Rev. King wouldn’t stand for it…why are so many Americans who are black willing to do so? Equality is tough. It’s easier to believe that we aren’t allowed to play than it is to reflect on the possibility that we may fail. I don’t like the terms of Black America and White America and all the shades in between, because first and foremost we are all Americans, but if I were to use such a term in this case with regards to Rev. King, black America as a nation has put its own spiritual health on a layaway plan of death. Just because the road is hard does not mean that the dream of Rev. Martin Luther King Jr. should be abandoned. Just because it is difficult doesn’t mean that Rosa Parks “stand” should be forgotten and a people should sit on the sidelines of the American dream. If some “leader” tells you that you can’t win while at the same time benefiting from your self imposed defeat, then they aren’t the kind of leader you should be following. Following the example and the leadership of greater men and women who have gone to their final reward is better than following the rhetoric of victimization and defeat of those still drawing breath and bloviating for “the cause” today. King, Parks, Washington and others spoke of victory, fought for victory, and didn’t accept defeat. Why are so many Americans who are black choose to forget that and accept defeat so easily? It’s a disservice to those who have given so much before them.